Who can submit a brief? This information is intended for individuals who wish to submit a brief to a parliamentary committee of the House of Commons. Committees regularly invite private citizens, experts, representatives of organizations, public servants and Ministers to appear before them in order to elicit information (receive evidence) relevant to the study under consideration. These consultations allow individuals and organizations, who have appeared before a committee or not, to set out and clarify their points of view presented in a written brief. For additional information on the work of committees, please see the Committee's section on the House of Commons website. 2. What is a brief? A brief is a written submission that provides opinions, comments and recommendations on a subject being studied by a parliamentary committee. 3. Who can submit a brief? Any individual or organization may submit a brief to a committee of the House of Commons, even if they are not given the opportunity to appear before the committee. Witnesses appearing before a committee, in person or by videoconference, are also encouraged, but not required, to submit a brief in support of their presentation. 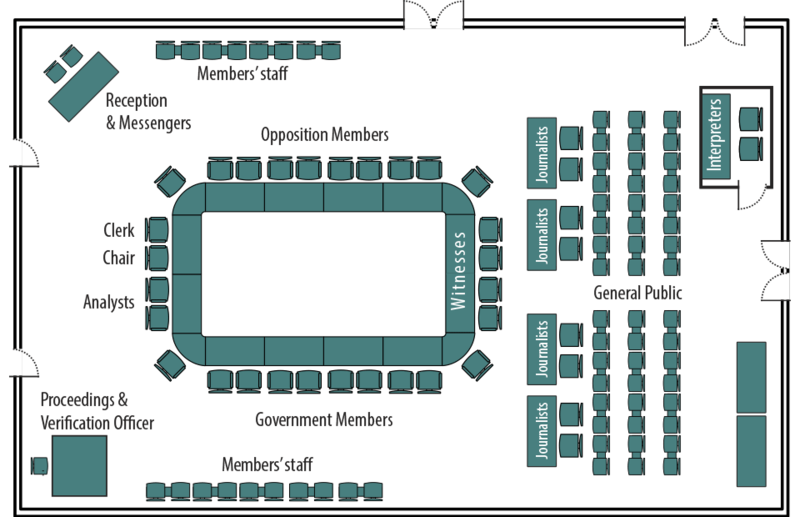 For more information on committee business and the process of appearing before a committee, please consult the Committees Practical Guide and the Guide for Witnesses Appearing Before House of Commons Committees . Briefs must contain factual information and support the views expressed and claims made in a clear and concise manner. Recommendations to the committee must be as specific as possible, especially suggested amendments to bills. They must also be summarized at the end of the brief. A brief should not exceed 10 pages in length, but please check with the clerk of the committee or on the committee's website for possible specific requirements. A brief that is longer than 10 pages must be accompanied by a summary of no more than 500 words. A committee may decide to translate and distribute to committee members, or publish on the committee's website, only that summary. The name of the author or organization must be clearly indicated on the cover page of the brief. Organizations must provide a general description of themselves at the end of the brief. All quoted or referenced materials must be clearly indicated either in footnotes or in a bibliography at the end of the brief. Photographs, logos, line drawings, graphics, tables and charts should be rendered in black and white only and provided in both official languages, if possible. Committees often receive a large number of briefs when conducting a study. Therefore, the early submission of briefs to the committee is recommended to allow committee members sufficient time to consider them. Individuals and organizations may submit briefs in either official language. Translation of the briefs will be coordinated by the clerk of the committee as they may only be distributed to committee members once they are available in both official languages. It is therefore recommended again to submit briefs as early as possible to allow time for translation, if required. Federal departments and agencies must submit their briefs in both official languages. Please note that the committee reserves the right to decide which documents that it receives will be translated and distributed to its members. If you are appearing before a committee as a witness, please submit your brief at least 5 working days before your appearance in order to allow time for translation and distribution to committee members. If you are unable to submit your brief electronically before your appearance, please consult the clerk of the committee to determine how many copies you should bring to the meeting. If the brief meets all the requirements, including being available in both official languages, the clerk can ensure the distribution to committee members and staff at the time of your appearance. If it is not available in both official languages at that time, it will be distributed to committee members at a later date after it has been translated. If the brief is submitted by way of the online form on the Committees website, personal contact information should be provided on the online form, not on the cover page or in the text of the brief. Please contact the clerk of the committee if you have tried unsuccessfully to submit your brief online. If the brief is sent electronically to the committee using the committee’s email address, available on the Committees website, personal contact information (address, email address, phone number) should be provided in the email, not on the cover page or in the text of the brief. Briefs submitted to committees become part of their public archives. Therefore, they may be posted on the Committees' website and become public documents. As such, please avoid including information on the cover page or in the text of the brief that you wish to keep confidential. When a committee presents a report to the House of Commons following a given study, the organizations and individuals who have submitted briefs will be listed as an appendix to the report. Please contact the clerk of the committee , if you require further information regarding the content of your brief, if you wish to send your brief in a format other than electronic, or if you have any further questions related to the work of the committee.